Now that we are seeing the development of the resurfacing project that is Hwy. 61,it gives us a very real picture of the finished project. It will be very beautiful; we see trees going in, grasses planted, cement stained in interesting patterns and signage. This is still a highway that divides White Bear Lake from itself, one side from another. Some of us wanted a more accessible highway, a highway that would slow traffic down, a highway that would be inclusive of bicyclists and not hostile to pedestrians. Beautiful and functional too. Turns out that MNDOT has laws that agree with the basic tenet of shared roadways when those roadways are reconstructed. How is it that MNDOT seemingly has immunity from its own laws? Kudos to the inspired resident who, on a whim I am told, began a new Facebook page, ” Take Back Hwy 61 in White Bear Lake.” The response has been intense with several hundred “likes” in less than a week. None of us enjoy construction, but the underlying distain for the “beautification” of the road over a more inclusive use of available corridor space is rising to the surface quickly. NE Bike Walk has been involved for sometime in trying to understand the decision making behind the road design and its car-centric disposition. Does City Hall value commuters more than residents? Why was over $2 million allocated for a project that requires on-going maintenance, uses precious lake water and places hard objects, like big welcoming signs, in the median? The City/MNDOT plan for Highway 61 was unveiled to the public in the Fall of 2013 a few months before the project would close and no changes would be accepted. Here is a copy of the letter White Bear Lake Bike Walk Taskforce members sent to the City Council in the Fall of 2013 looking to start a dialogue about how to design the road so the community of White Bear Lake would receive the best possible return. Things are starting to heat up in the NE region. Last week we posted for people we met at Mahtomedi’s Rite Of Spring event. Thanks to Dennis Lindeke for getting in touch with NEBikeWalk, on a tip from Dorian Grilley from the Bike Alliance, and making room for us in the Bike Room. I bumped into Sean Gosiewski from Alliance for Sustainability at the Rite Of Spring and he made the pitch for us to attend this week’s event in Stillwater. Sounds great. Sure, we’ll be there. If you attended the Rite of Spring event and came to this blog last week, you will now experience a strong case of deja vu. 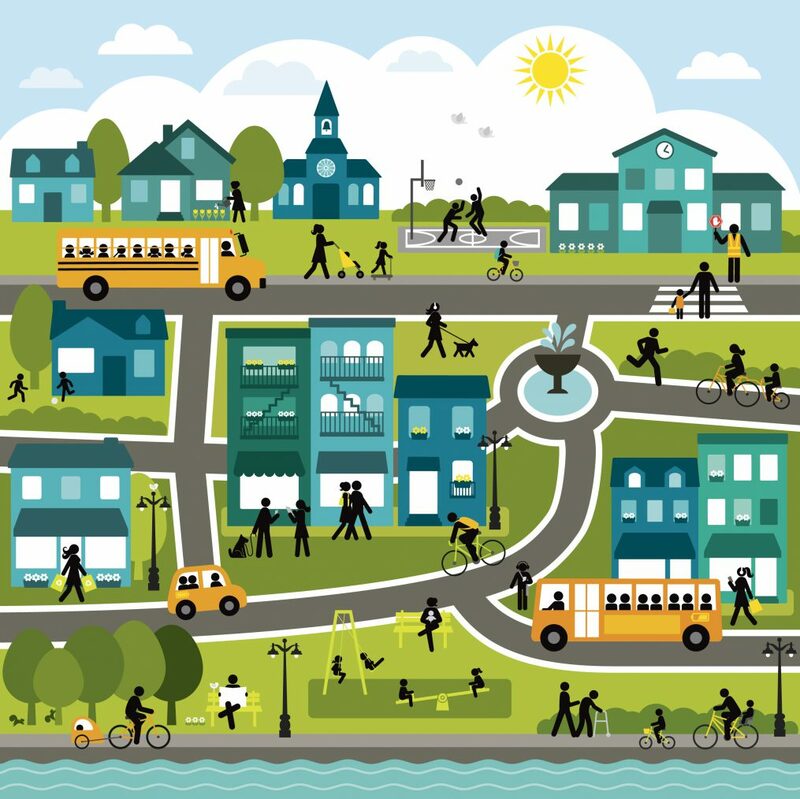 The objective of the NE Communities Bike Walk is to create an alliance of people in surrounding communities who want to improve safe local and regional transit opportunities for those who bike, walk and run. From a website functionality perspective our hope is to grow our on-line presence as a resource for regional change and more effective communication. For example, we envision providing direct links you can copy to reach local, county and state officials. This will streamline getting our collective and individual messages out to those we have elected who can legislate and drive change….and make sure the laws in place are followed for bike and ped. Maybe more manually than digitally to start…we think it is important for people to define their local routes…to map out their communities, find the best, and safest routes and share them openly. MNDOT resurfacing and reconstruction projects offer a once in 25 year chance to provide a greater community gain than simply fresh pavement. Understanding when these projects will happen and getting in touch early with the people designated by MNDOT to manage them and ensure all projects are scoped for bike and per facilities is key. State and local officials need to understand roads are for everyone. They also need to be educated on the laws surrounding bike and ped inclusion into road projects. So..if you believe in using existing road infrastructure for a greater community gain, and that organizing to establish new, safe off-road trails can enhance the vibrancy, livability and prosperity of our towns and cities, we want to collaborate with you or your group. If we did not get your contact information at the Transition event, please email us at nebikewalk@gmail.com.